You are listening to Josh Groban "Anthem" with the entire ensemble, inclusive Jerome. Royal Albert Hall in May 2008, will be broadcast by the American TV channel PBS on June the 17th. stars such as Josh Groban as the Russian,Idina Menzel as Florence and Adam Pascal as the American. Jerome appears in the chorus together with many established West End performers. 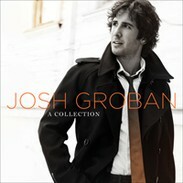 has also been released on Josh Groban's latest CD 'A Collection'. For more info go to Josh Groban's website. Last year, May 2008, Jerome had the priviledge to perform with Americanhearthrob singer Josh Groban, during the performance of the musical 'CHESS IN CONCERT" Live at the Royal Albert Hall. The track from the song 'Anthem', in which Jerome can be heard in the chorus, has been released on Josh Groban's latest CD 'A Collection'.